This small craft harbor is located adjacent to the former Cliff’s Erie Taconite loading facility just south of the small town of Schroeder. 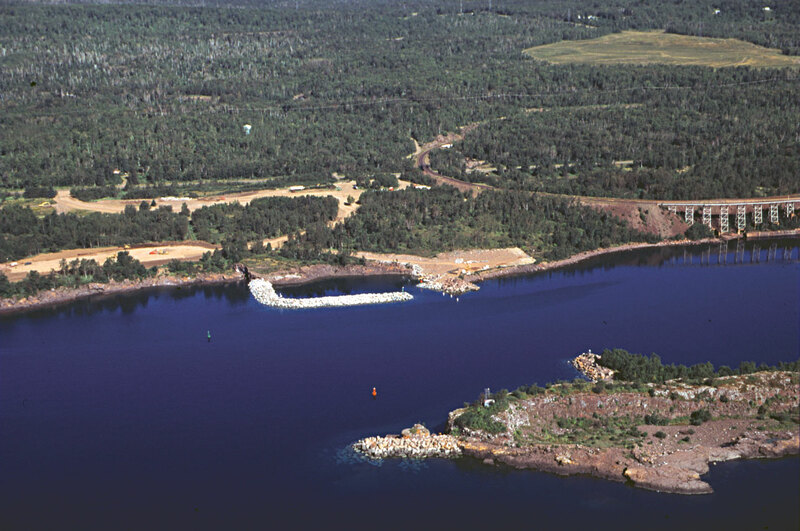 Taconite Harbor was developed in 2001 as another of the Lake Superior small craft harbor facilities. At one time, the Town of Taconite Harbor was located immediately southwest of the upper parking lot - all of the houses have been removed - there are still portions of paved streets, a basketball hoop and a few street lights remaining. Two concrete ramps (5-foot minimum depth at ramp end). Two docks - one is accessible. Paved lower lot and ramp staging area (five car/trailers). Gravel upper lot (35 car/trailers). 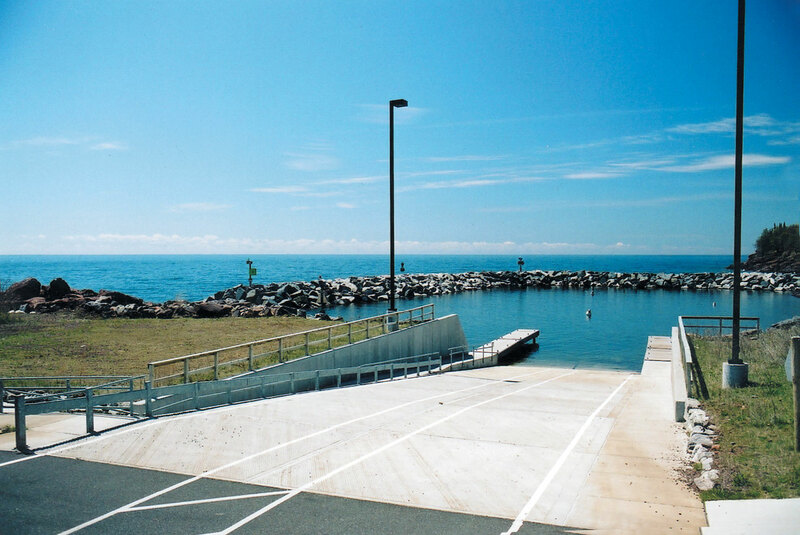 1.7 acre small craft harbor basin. Two mooring buoys (emergency or transient day use only, sizes marked on the buoys 30 to 65-feet). Location: 76.6 miles from the Duluth Harbor Entry, 24.5 miles northeast of Silver Bay, 6 miles northwest of Tofte.